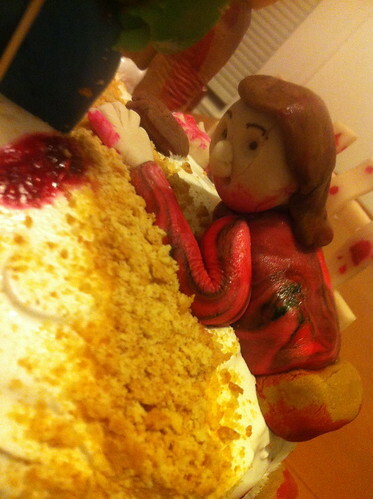 The cake was a surprise until I brought it home the day before his birthday (when we had friends over for dinner). 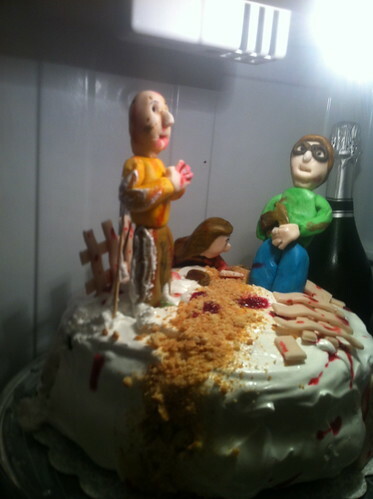 Once it was in the door, there was no good way to hide it, so the Hubbs helped me place the fondant figurines. 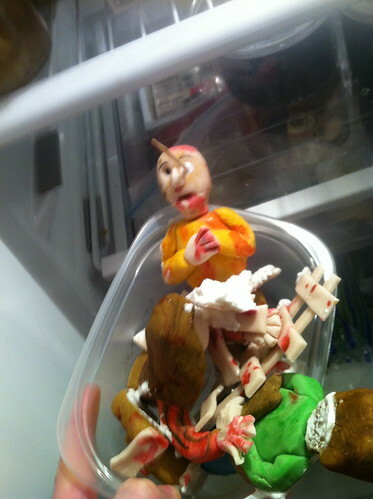 We stored it in the fridge until our guests arrived, and I was pretty amused to open the door and see a zombie battle scene inside my icebox. Lest you think I’ve lost my senses and won’t talk about the flavor: I asked for a s’mores inspired cake because we’d never had that, and it seemed like something my old man would like. We ended up with chocolate cake, marshmallow whipped cream frosting, and a marshmallow-graham filling. 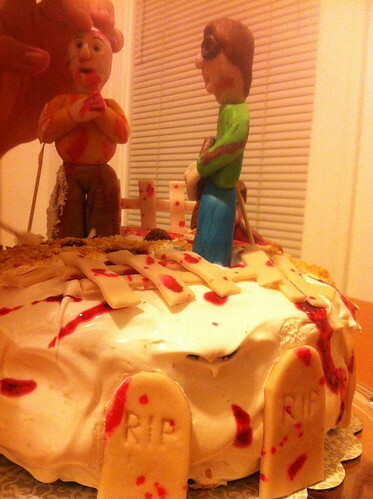 The “blood splatter” on the cake was a bit of raspberry jam; the figurines, fences and gravestones were fondant. If you’re in the Chicago area, Drizzle Bakery makes a killer churro cupcake (my personal favorite) and Becky also takes custom orders. Yay! Cake! PS – Remember last year when I threw him a surprise superhero party?